Your chances of reaching age 100 could be better than you think – especially if you get some additional sleep and improve your diet. 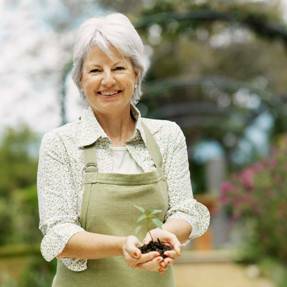 New research from UnitedHealthcare looks at centenarians and baby boomers, asking the former about the “secrets of aging success” and evaluating whether the latter are taking the necessary steps to celebrate a 100th birthday. The primary findings: Many boomers are embracing lifestyles that could lead to a long and rewarding life – with two exceptions. More than seven in 10 centenarians – 71% – say they get eight hours or more of sleep each night. By contrast, only 38% of boomers say they get the same amount of rest. And when it comes to eating right, more than eight in 10 centenarians say they regularly consume a balanced meal, compared with just over two-thirds (68%) of baby boomers. The report – “100@100 Survey” – begins with some startling numbers. As of late 2010, the U.S. had an estimated 72,000 centenarians, according to the Census Bureau. By the year 2050, that number – with the aging of the baby-boom generation – is expected to reach more than 600,000. Meanwhile, an estimated 10,000 boomers each and every day – for the next decade – will turn 65. How to reach 100? Centenarians point to social connections, exercise and spiritual activity as some of the keys to successful aging. Among surveyed centenarians, almost nine in 10 – fully 89% – say they communicate with a family member or friend every day; about two thirds (67%) pray, meditate or engage in some form of spiritual activity; and just over half (51%) say they exercise almost daily. In each of these areas, baby boomers, as it turns out, match up fairly well. The same percentage of boomers as centenarians – 89% – say they’re in touch with friends or family members on a regular basis. Sixty percent of surveyed baby-boomers say spiritual activity is an important part of their lives, and almost six in 10 boomers (59%) exercise regularly. Finally, researchers turned to cultural affairs and asked centenarians and boomers to identify – from a list of 14 notable people (including President Obama, singer Paul McCartney and actors Tom Hanks and Julia Roberts) – their preferred dinner guest. The top choice among centenarians and boomers alike: the comedian Betty White.